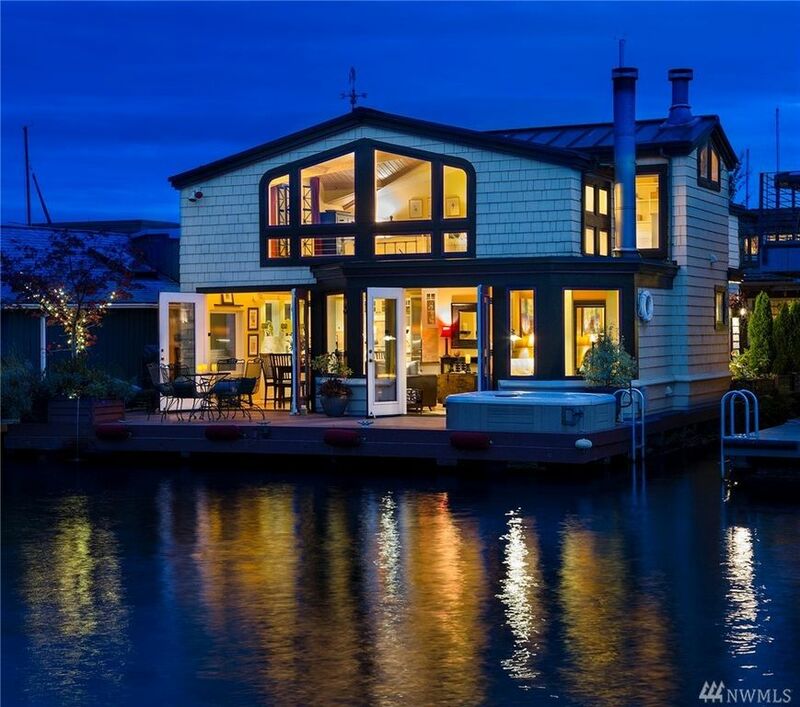 One of the most beautiful houseboats in Seattle. 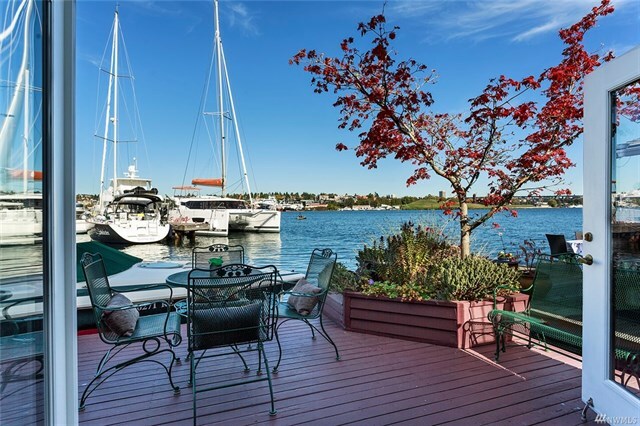 Extraordinary views and uniquely private on a wonderful dock. 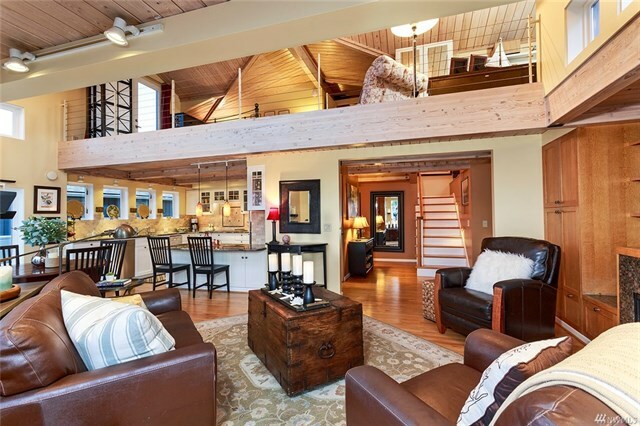 Great room is flooded with natural light and 2 stories of windows, with French doors opening to the spacious deck. 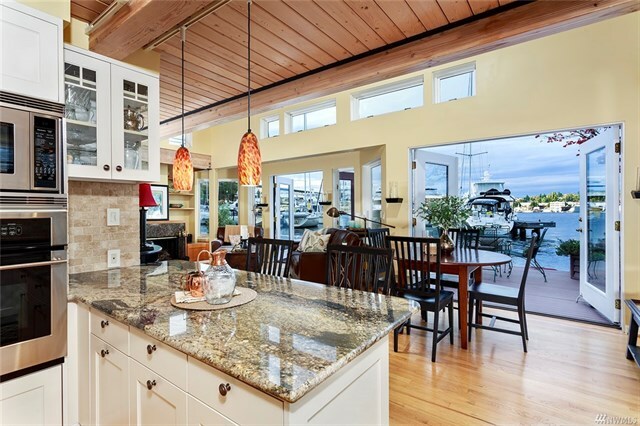 Gorgeous kitchen opens to indoor and outdoor dining, ideal for entertaining. 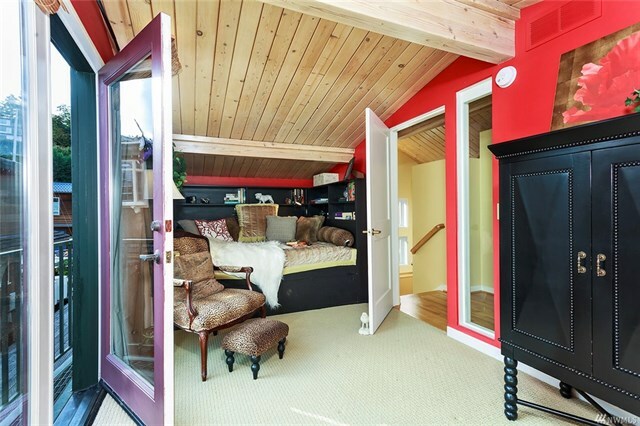 4 bedrooms, including a master with fireplace and big views absolutely spotless. 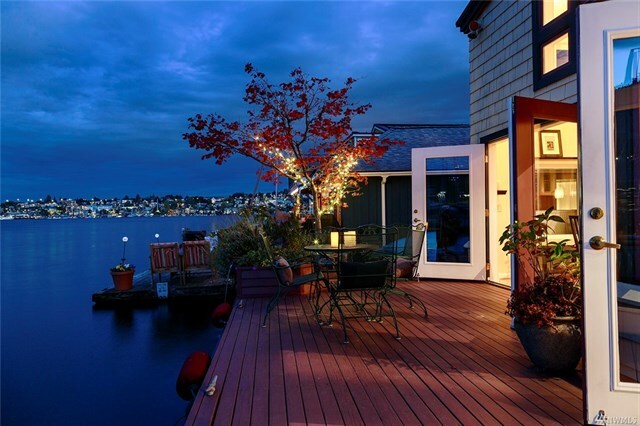 Hot tub on the deck is ideal for a starlit night.